Neither a continent nor a country, The Middle East is a term given to a region made up of 17 countries. 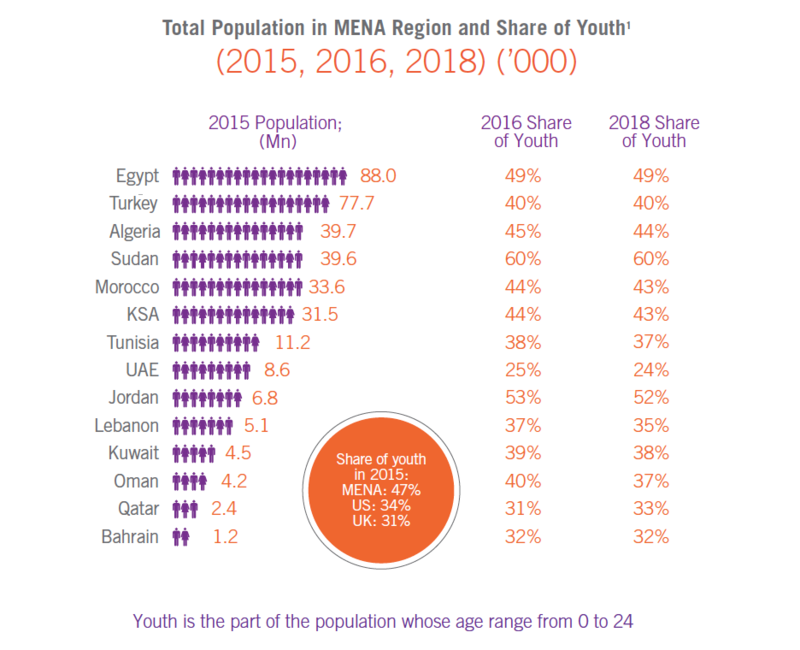 The region comprises of 450 million people and growing at one of the fastest growth rates in the world, the Middle East is a prized market for most brands due to the large base of youth population that exists here. Almost 50% of the regions population is under the age of 25 with 35% being under the age of 18. This poses a huge potential opportunity for a dynamic future market. The challenges alongside remain job creation, education and channelling youth potential towards economic prosperity. Brands often define their territories or regions focusing their marketing strategies based on the above market collation. This is because markets within each segment display similarities in culture, language and habits however varying differences can be seen when being compared to markets in other segments. For instance, although Arabic is regarded as the language of the region, the language of choice in Morocco and Tunisia is primarily French. Likewise, the chosen language in markets like the UAE is English and Hindi is also widely spoken due to the large base of expats from the Indian subcontinent. Even within Arabic, the dialect can vary significantly not just within the market segments but also from one country to another. The UAE and Saudi Arabia are geographical neighbours and both are part of the GCC council, however the spoken dialect of Arabic differs immensely from each other. These variances in culture are also reflected in the choice of media by consumers. Conservative segments and societies in the region are catered through more traditional and conservative content while modernized segments consume a more ‘westernized content’. However, on an overall basis some of the most popular contents on leading TV stations are western franchised shows which are ‘Arabized’ and broadcasted to the region. Shows like Arabs Got Talent, Arab Idol, Project Runway, Survivor, Fear Factor and others have all been successfully ‘Arabized’ and televised in the region. Another popular genre amongst the youth is music where the region has seen a boom in the music industry with more and more music speciality channels being broadcasted on mainstream satellites. With sporadic objection from time to time, music videos seem to always push the boundary for what is considered as an acceptable appearance and content in the region. These popular choices of content from the audience en masse reflect the evolution of culture in the Middle East. The other interesting aspect is the popularity of the English language channels amongst the Arab audiences. MBC Group first experimented in 2001 by introducing English channels that play Hollywood blockbuster in English with Arabic subtitles. Soon after its launch, MBC 2 became the No. 2 channel after MBC 1 in terms of viewership by the general population across Saudi Arabia, Egypt and UAE – the three biggest markets of the region. 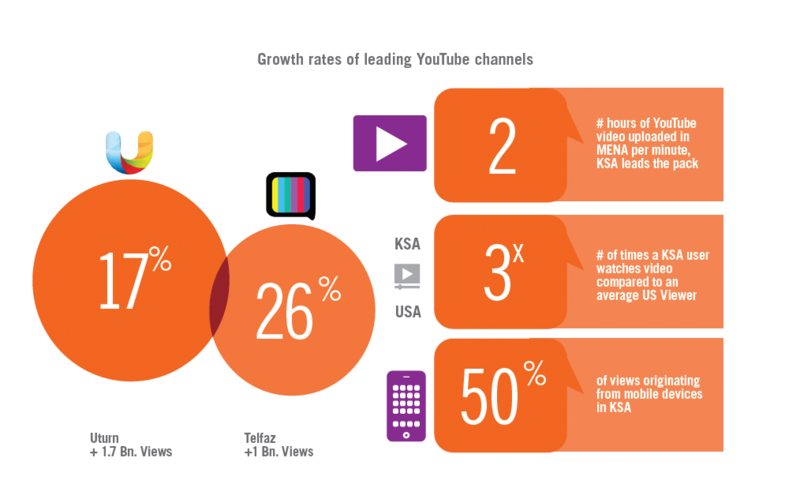 It also commanded a position in the top 5 channels in regards to viewership across all the Middle Eastern markets. This was a unique insight into the Arab market, which proved the acceptance of not just western content but content in a foreign language. Since then, MBC and Rotana have both successfully added English channels to their portfolios. The media maze – or: spoilt for choice! To cater to this complex multi-cultural and multi lingual environment there is a plethora of media making it very challenging for brands to reach out to their audiences. There are over 300+ TV channels in the region and over 3,000 officially registered print titles. The number of blogs and digital publishers make the digital media landscape even more fragmented. TV remains the media of choice commanding the highest share of audience time spent on a media platform. This is closely followed by the internet, which has grown significantly in the past years however, remains second after the TV in leading ME markets like KSA and UAE. With the plethora of free to air channels, complimented by the rising penetration of video on demand and streaming networks, the audience is spoilt for choice of content. The good news for marketers is that media reach can still be consolidated through the biggest 2 TV networks in the region. The MBC Group which is the largest broadcasting network in the region comprises 11 channels in its portfolio that are beamed across satellite to the entire region. Five of its channels are amongst the top 10 TV channels in all Middle Eastern countries and aggregate almost 50% audience share across the entire region. The Number 1 TV channel of the region, MBC1, alone can command up to 20% audience reach across all markets in the region. MBC has been the broadcast platform for popular programs including international franchises such as ‘Who Wants to be a Millionaire’, ‘Arabs Got Talent’, ‘Arab Idol’ and other global hits. Leading advertisers including FMCG brands, automotive brands, telecommunication brands continue to leverage the reach of broadcast TV to build awareness for their brands. Although cost buying TV spots can be expensive, it still continues to be the most cost efficient way to reach mass audiences across multiple markets within the Middle East. The second biggest broadcaster of the region is Rotana, part of the Rotana Group. Rotana Group is the Arab World’s largest entertainment company. It is primarily owned by the Saudi Prince Al-Waleed bin Talal, with an 18.97% share held by 21st Century Fox. The large pan-Arab media conglomerate includes a film production company (Rotana Studios), a magazine (Rotana Magazine), television (Rotana TV), seven music channels (Rotana Radio), a record label (Rotana Records), and others. biggest market and similar audience share across the Middle East. 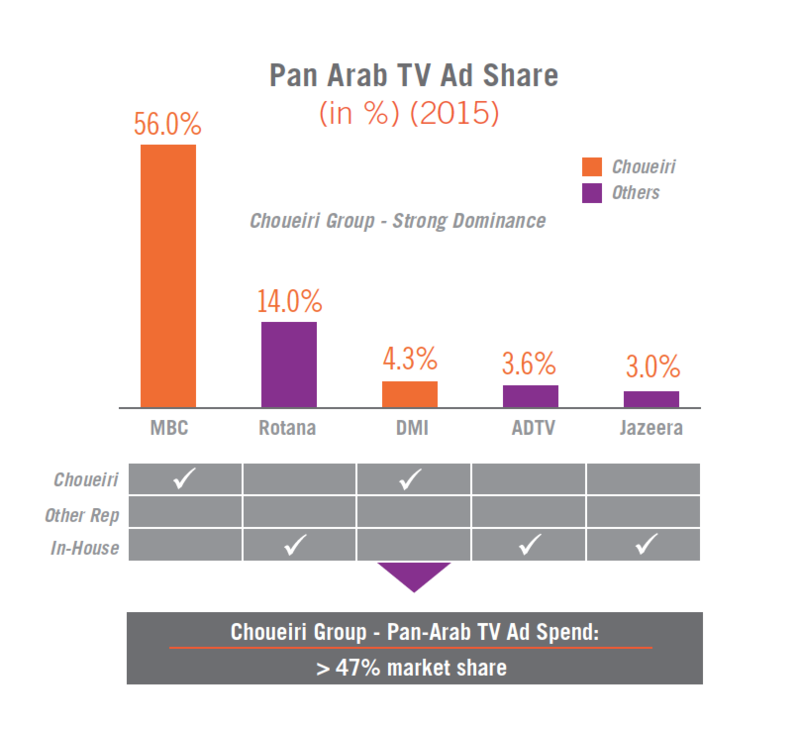 Rotana and MBC Group dominate the regions audience share of viewing when it comes to the airwaves. This scenario represents an advantage for brands to be able to build reach over a massive audience of around 400 million Arabs in the region using these two dominant networks, but also presents challenges in negotiations due to the monopoly the networks command. 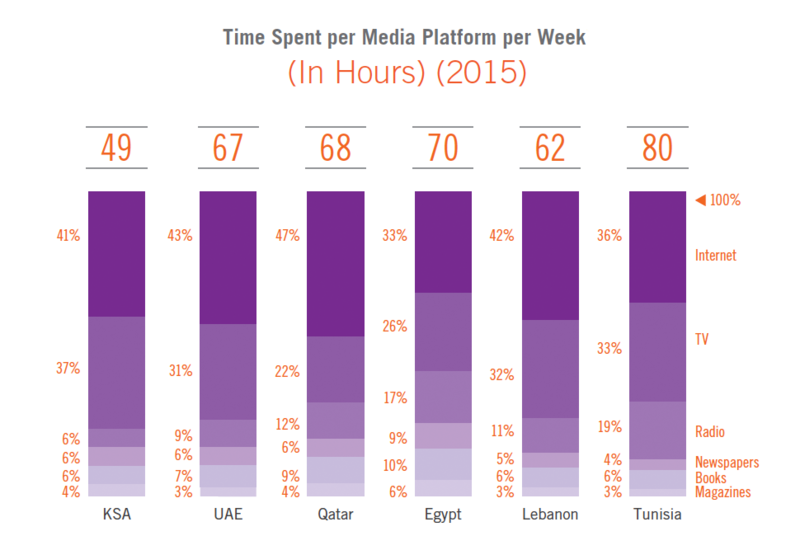 The Middle East is one of the fastest growing regions when it comes to penetration and usage of digital media in the world. Digital technology and access of high speed internet has connected the region to the rest of the world not only in terms of information and data but also in terms of cultural understanding and exposure. The digital highway has opened the gateways for the Middle Eastern population to be exposed to programming content from all around the world. With the click of a button, users are able to access videos, songs, programs and movies from all over the world. This exposure has played a major role in shaping the mindset of the youth in the region. Perhaps one of the best example is Saudi Arabia where the local media is largely controlled by the government and subject to a strict censorship criteria. 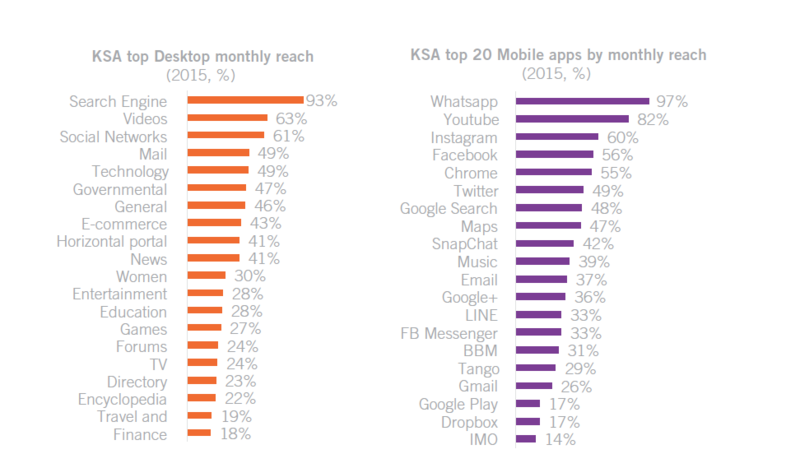 At the same time, Saudi Arabia has one of the highest consumption of Youtube videos in the world. The result has been the formation of a unique culture across these countries, which is an amalgamation of Western cultural influences mixed with traditional Arab cultural practises. 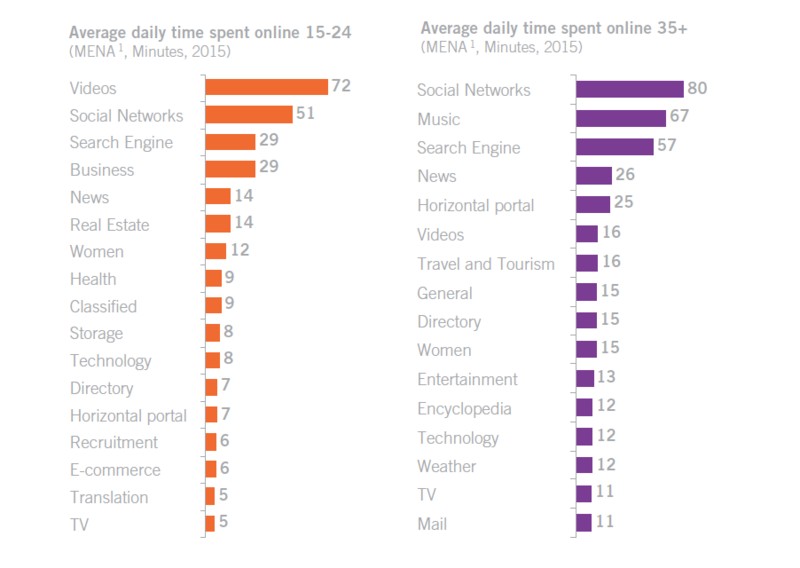 Today, Digital media is part of the way of life in the region Middle East. Devices like smartphones are considered as highly personal and important objects as they remain the most prominent and sometimes only possibility for people to get a view of the global world as well as expressing themselves to the world. The rise of social media has further accelerated the desire for self-expression. A traditional society that has largely been scrutinized for every word put in public, social media has given the mass a means to express their opinions, desires and point of views without scrutiny or restriction. The region has one of the highest usage rates of social media in the world. Brands have been keen to become part of this phenomenon and have benefited from the social media popularity by engaging their target audiences through these popular platforms. Social media and digital channels have already risen to overtake print media in some categories and are now giving television broadcasters a challenge for marketing budgets. Brands with lower marketing budgets that couldn’t afford big budgeted TV campaigns can now benefit from the lower cost of campaigns on digital and social media. These new marketing channels are not only lower in cost but also very effective in means of reaching and engaging with target audiences across multiple demographics.